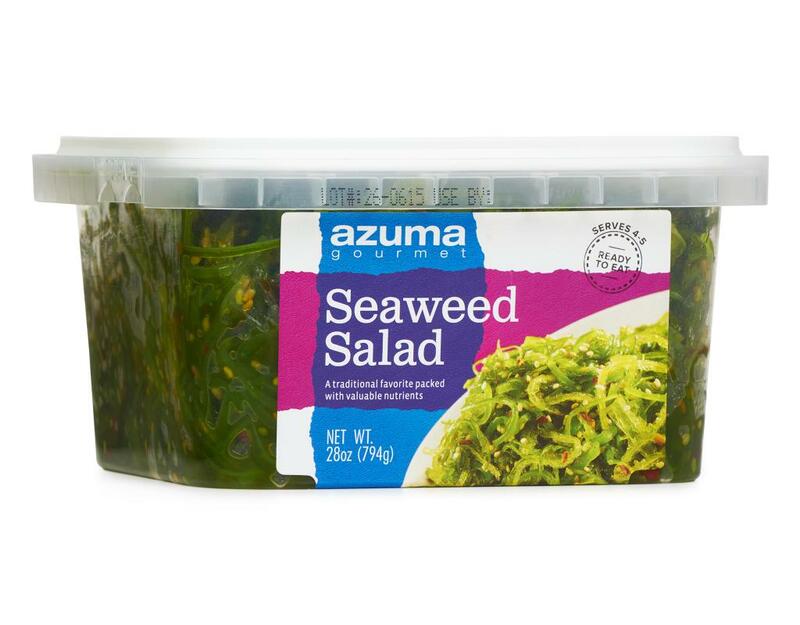 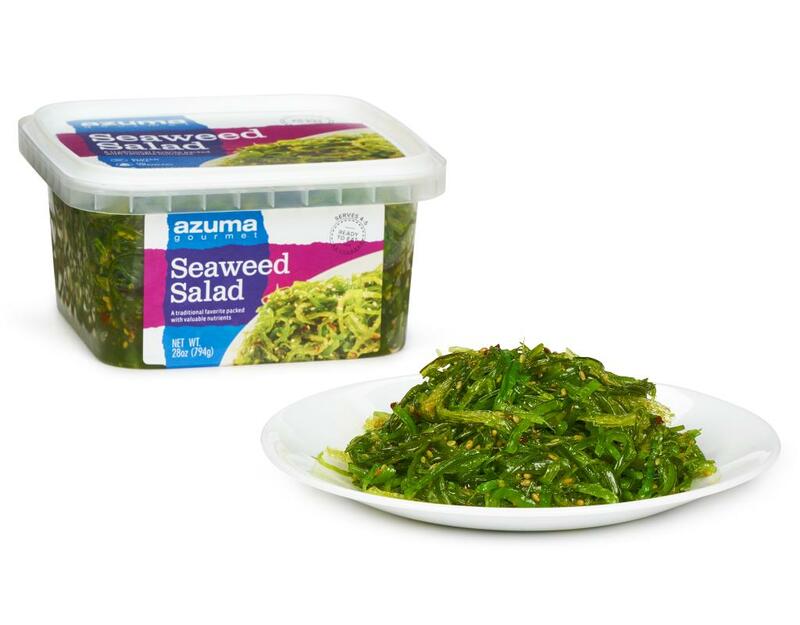 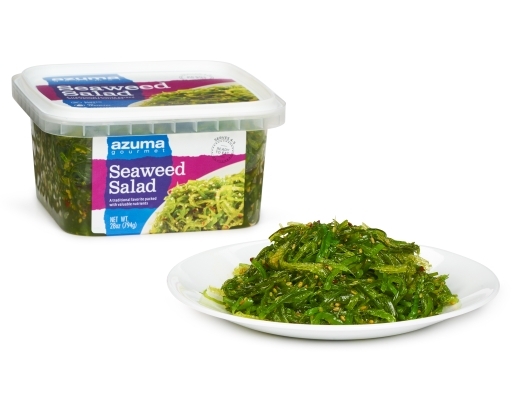 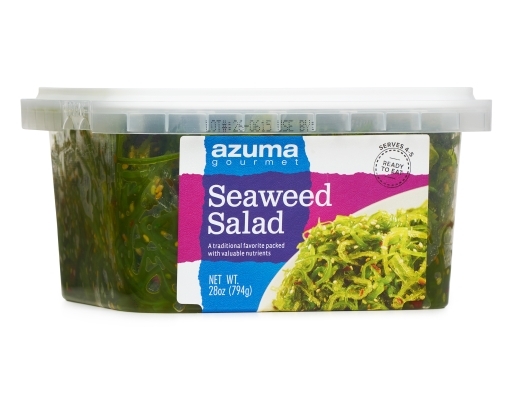 Azuma Seaweed Salad is healthy and delicious. 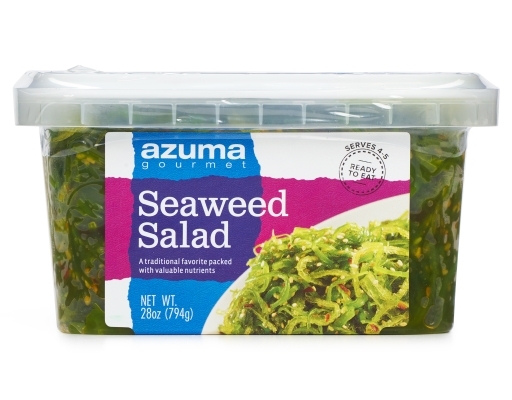 The seaweed stems are fresh and moist with a crunchy texture, and this salad is a perfectly balanced healthy food with a distinct flavor. You’ll love the kick of flavor with every bite! 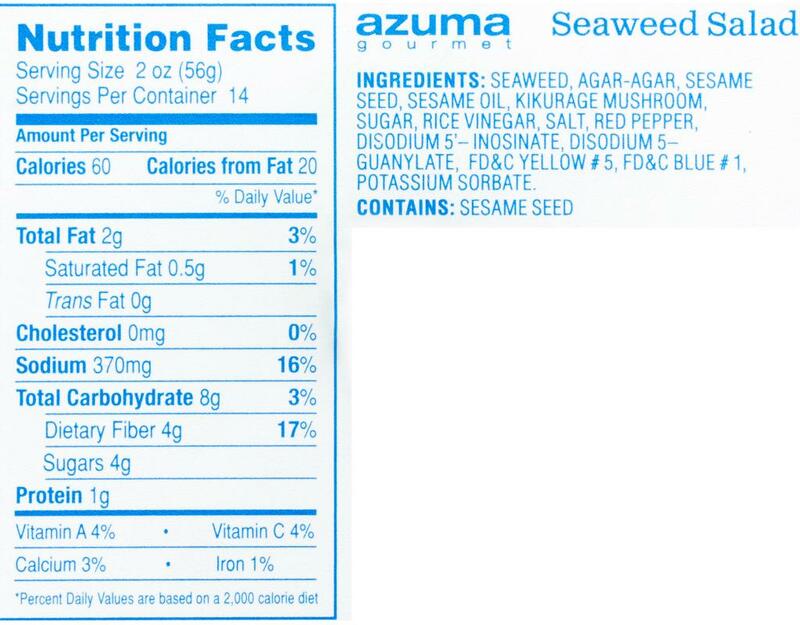 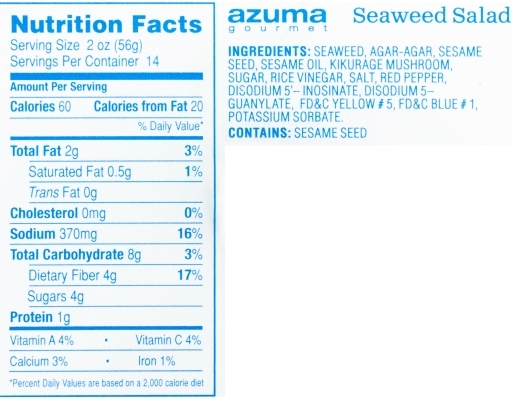 Seaweed, Agar-Agar, Sesame Seed, Sesame Oil, Kikurage Mushroom, Sugar, Rice Vinegar, Salt, Red Pepper, Disodium 5’ – Inosinate, Disodium 5 – Guanylate, FD&C Yellow #5, FD&C Blue#1, Potassium Sorbate.